Vietnam’s official narrative is sending mixed signals on things from the environment to the coffee business. 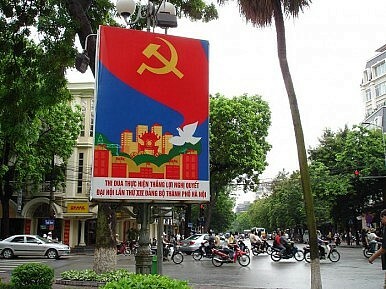 The Vietnamese have never made communications an art form. In a one-party communist state – and there aren’t too many of them left – the state controlled press with the national wire service at the helm is normally more than enough to toe and deliver the government line. The process has served Vietnam since the communist takeover of the north in 1954 and the annexation of South Vietnam 21 years later. But times are changing and this week a slew of official announcements were made public through an array of voices that muddied the waters of government policy. Wildlife conservation was never a Vietnamese strong point either, but among the announcements was a decision to abandon construction of two hydropower electricity plants to protect the natural environment. A report by the natural resources and environment ministry said the plants would destroy more than 327 hectares of forests, including 128 hectares inside the Cat Tien National Park northeast of Ho Chi Minh City. It would also badly affect the Bau Sau wetlands inside the park and the flow of the Dong Nai River. The move was astonishing, particularly for environmentalists who applauded the decision. Then the international coffee market would have been equally surprised by another admission of sorts with government officials all but confirming rumors that its coffee industry was in danger of collapsing. Do Ha Nam, Deputy Chair of the Vietnam Coffee and Cocoa Association (Vicofa), said Vietnamese enterprises had faced a series of problems relating to tax fraud. However, more worrying were rumors that the Vietnamese coffee industry had nearly collapsed. He said this was just a rumor but admitted that Vietnamese enterprises are facing big difficulties. This came a week after Hanoi announced its debt-hemorrhaging, state-run shipbuilder Vinashin would cut 14,000 jobs, or 70 percent of its workforce. It collapsed in 2010, triggered downgrades and raised the alarm over nepotism and corruption at state-owned enterprises. Former board members are behind bars. The announcements were made and reported on by a widening mix of media, including websites, television and the official press. In doing a convincing job, the media created a favorable impression that Vietnam appears finally to be on track to make desperately needed economic reforms. Then came another announcement. This time it was in regards to a popular dissident who had been jailed for up to 30 months on charges of tax evasion. Of all the people in Vietnam that might have to answer a legal case on tax evasion, the authorities nabbed a man best known for defending human rights. Jailed bloggers do have a rough life. Quan, a Catholic and popular blogger, was arrested in December after initially being detained for three months on returning from a U.S.-government funded-fellowship in Washington in 2007. He was beaten up by thugs in August 2012. The harsh reality of Vietnam’s crackdown on dissidents has been well documented and Quan’s jailing tarnished a week of almost sensible announcements. Will this belligerent side of the Vietnamese government also be meted out in equal doses when it comes to further investigations of errant and corrupt businessmen? Hanoi’s proposed measure is unlikely to solve the city’s congestion problems.